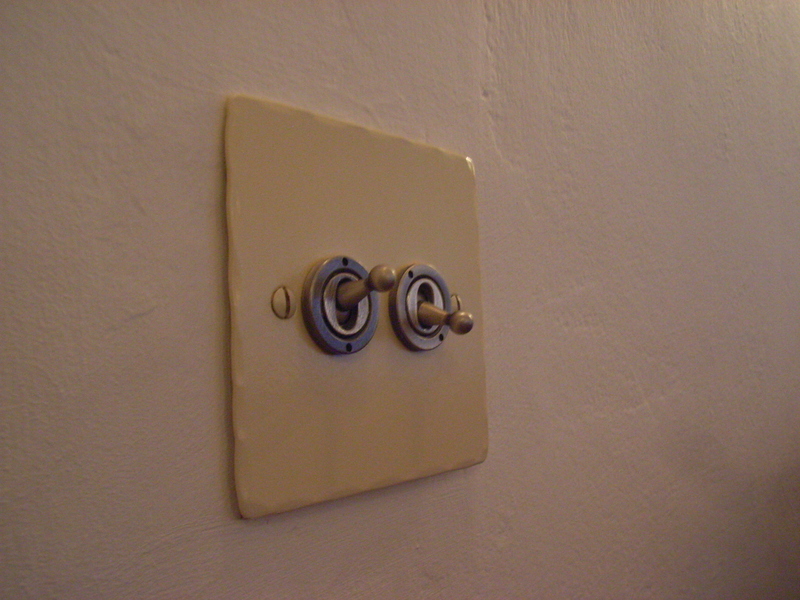 One of my biggest indulgences in renovating the cottage was to splash out on new light switches and sockets throughout, as well as new lights. I do not see the point of putting in a beautiful slate floor, an Arts & Crafts fireplace, replacement cottage-style windows and all the rest, only to spoil the overall effect by keeping white plastic light switches: they’re always at eye level, by the door, where everyone can see them. I ended up spending as much on Jim Lawrence lights, switches and sockets as I did on the kitchen units! I did a fair amount of research online, but came to the conclusion their prices were as good (or bad, depending on how you look at it) as all the other suppliers I could find, and after visiting their showroom in Suffolk, I knew the quality and finish were high. I opted for cream-painted metal wall plates, with hammered edges, and for the switches, old fashioned dollies. I love them and am so glad I spent the extra money. WARNING: just about every ‘in the wall box’ had to be enlarged to accommodate the extra depth of the fixtures, which meant a bigger bill from the electrician. 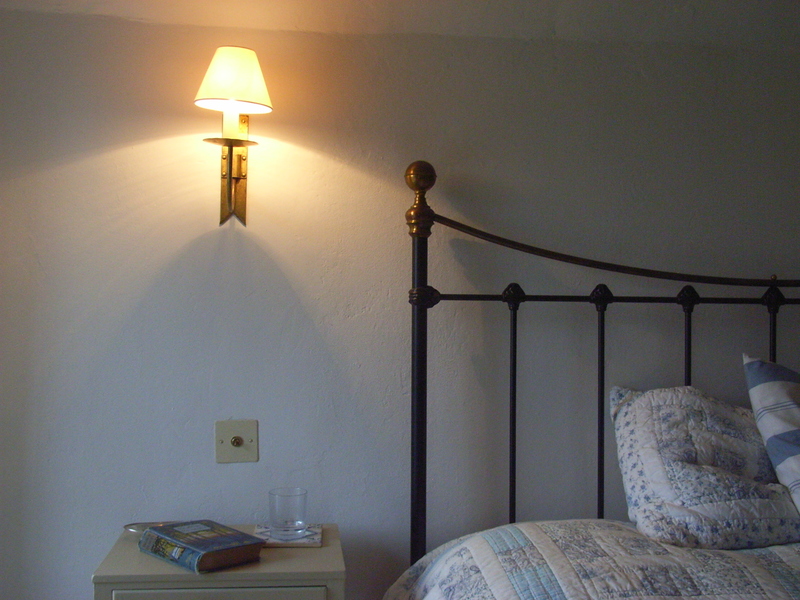 I also chose Jim Lawrence pendant and matching wall lights in the kitchen, cottage wall lights in living room and bedrooms and an outdoor lantern. These were mixed with cheap fittings in less conspicuous locations (bathroom, hall, downstairs loo etc) in an effort to cap the lighting budget! I had also held on to my mother’s 1953 shell lampshade, which hung on three chains from the ceiling of the hallway in the house where I grew up. I was able to find a triple hook fitting online, and Mum’s shade now hangs on my landing – complementing the vintage look.